Arranged by Frank Paparelli. Keyboard Instruction. Boogie Woogie, Jazz Instruction. 48 pages. Published by Hal Leonard (HL.120517). 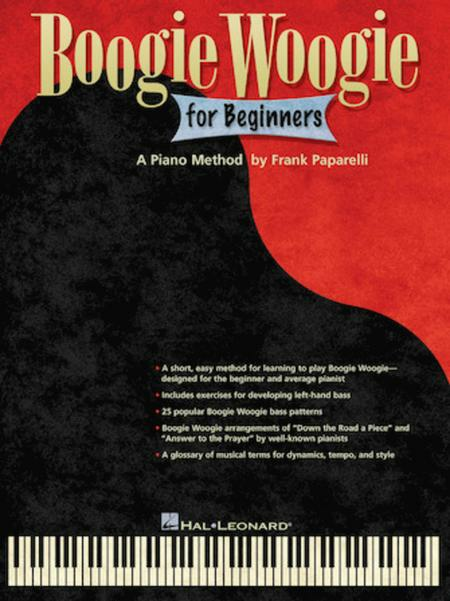 A short easy method for learning to play boogie woogie, designed for the beginner and average pianist. Includes: exercises for developing left-hand bass • 25 popular boogie woogie bass patterns • arrangements of “Down the Road a Piece” and “Answer to the Prayer” by well-known pianists • a glossary of musical terms for dynamics, tempo and style. 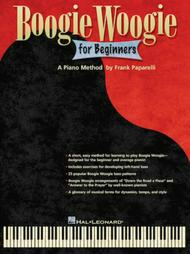 I enjoy working through the boogie woogie piano exercises. I am studying classical piano at McGill. My piano teacher, believe it or not, is familiar with this book and she also recommends it. 34 of 55 people found this review helpful.